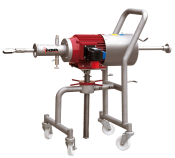 Anchor-type agitators are principally designed to mix highly viscous products and non-Newtonian fluids, i.e., they lack a certain degree of viscosity because it depends on the temperature. 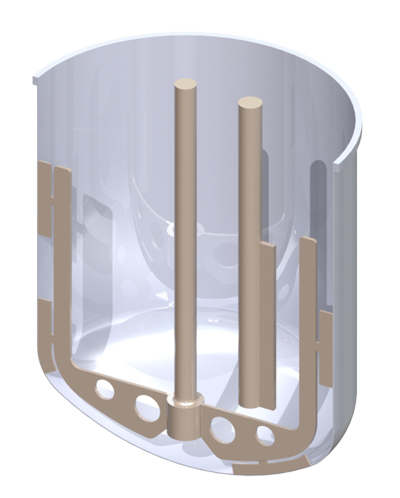 These agitators can be mounted in tanks with rounded or conical bottoms. 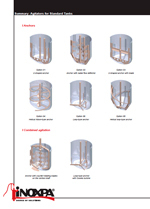 The different types of anchor available in the INOXPA range are presented below. Propeller-type agitators can be used for suspension, dispersion and homogenization processes with low-viscosity products, where it is important to operate at medium and high speeds. 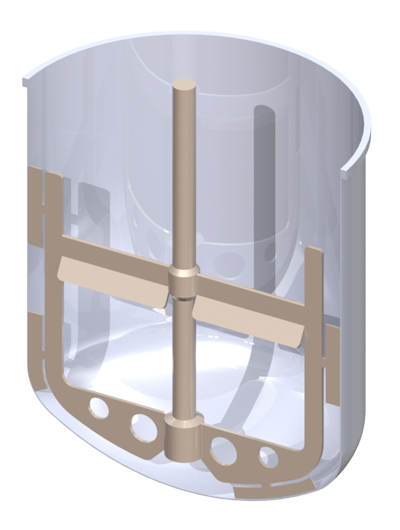 These agitators can be mounted in tanks with rounded or conical bottoms. 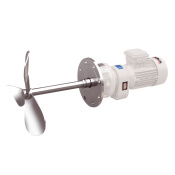 Propellers are axial flow agitators, ideal for solid-in-liquid solutions or suspensions because they prevent solid particles from depositing on the bottom of the tank. They can also be used for mixing liquids. 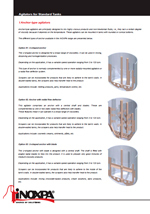 Depending on the application, deflectors or flow deflector baffles can also be mounted in the tank. 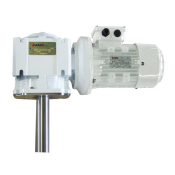 All propeller-type agitators can be accompanied by an anchor-type agitator. Blade agitators can be used in suspension, dispersion and homogenization processes with low- and medium-viscosity products. 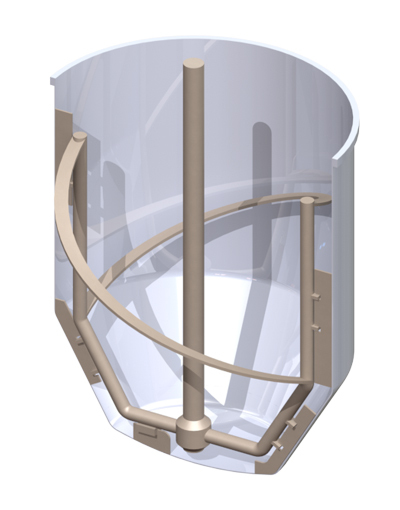 These agitators can be mounted in tanks with rounded or conical bottoms. They operate at a low-moderate mixing speed with a peripheral velocity of 2 to 7 m/s. Blades are axial flow agitators, ideal for solid-in-liquid solutions and suspensions because they prevent solid particles from depositing on the bottom of the tank. They can also be used for mixing liquids. 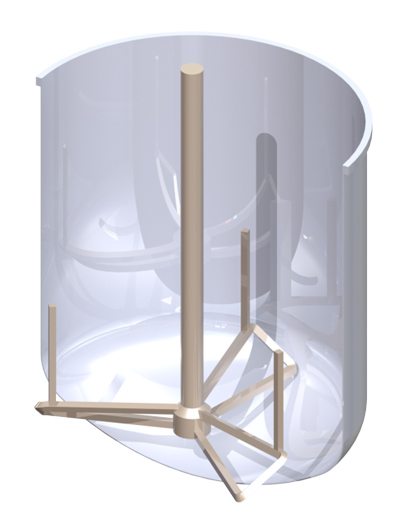 Turbine agitators can be used in emulsification and dispersion processes which require operation at very high speeds. 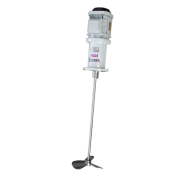 They are efficient across a broad range of viscosities with a highly effective mixing capacity. 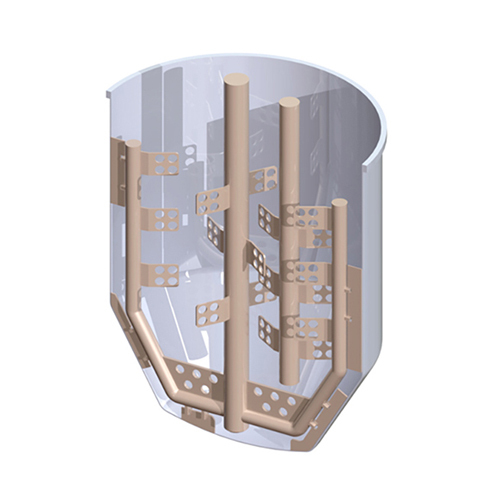 These agitators can be mounted in tanks with rounded or conical bottoms. 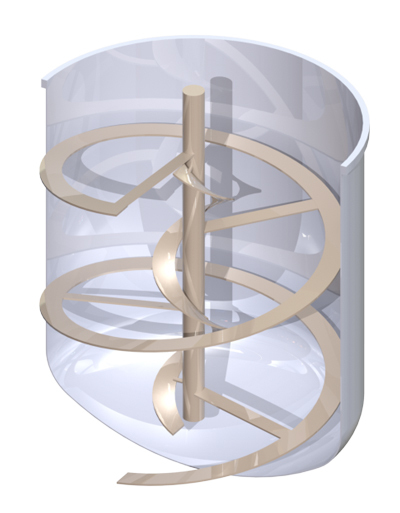 If the agitator is placed in the centre of the tank, depending on the type of product, the installation of a radial flow deflector could be necessary to ensure the best possible standards of mixing. This is not required if the agitator is off-centred. Résumé Мешалки якорного типа предназначены в основном для смешивания продуктов с высокой вязкостью и неньютоновских жидкостей, т.е. жидкостей, которые не имеют определенного значения вязкости, поскольку оно зависит от температуры.